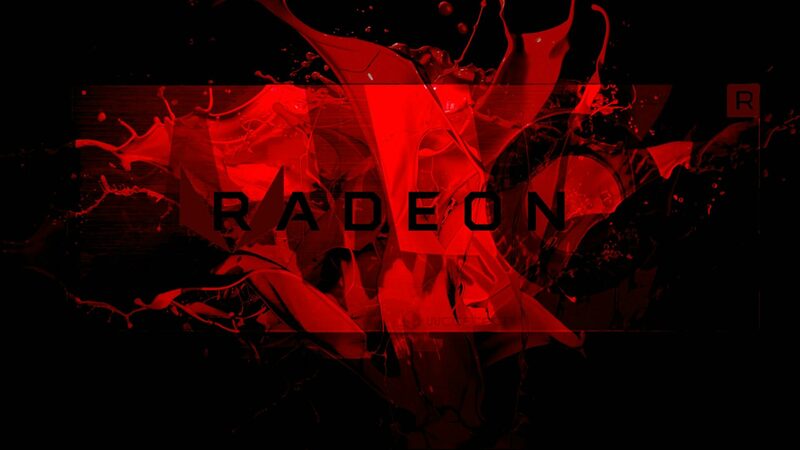 AMD’s next generation mainstream Navi GPU will reportedly offer GTX 1080 / RX Vega 64 class performance and replace the company’s current RX 580 cards as a mainstream class product in 2019. Navi is Radeon’s last Graphics Core Next based architecture and is expected to be the world’s first high performance GPU built on 7nm process technology. Little is known about Navi in the techspere to date. One detail that we seldomly see reported is that AMD is working on two Navi GPUs, we’ll call them Navi 10 and Navi 11 for the time being. One is designed for the desktop market and the other for the mobile market. According to this report from Fudzilla, Navi will not be a large high-end GPU. Although the report doesn’t specify which Navi GPU is being talked about, we’re going to assume that it’s the Navi 10 desktop part. The report further states that this Navi part will be a high performance, low power chip with the performance of today’s high-end GPUs and the positioning and power consumption of mainstream parts. An RX 580 successor in that ~$250 sweet spot in the market. This makes sense from several perspectives. From a manufacturing point of view, it’s not feasible to produce a large GPU on a brand new cutting edge process like 7nm early in the node’s life-cycle. The yields and wafer costs make this prohibitively expensive. This is why NVIDIA and AMD were only able to introduce the GTX 1080 Ti and Vega in 2017, rather than 2016. It also makes sense from a profitability point view, as mainstream and mid-range GPUs far outsell high-end GPUs, by a factor of 4 to 1 in fact. This is how AMD was able to double its market share in 2016, just with mainstream Polaris 10 & 11 GPUs. Over the past year we’ve been hearing whispers about a project at the company to bring horizontal die stacking technology — commonly referred to as 2.5D stacking — and expertise over from the CPU department to the GPU department. With the intention of making high-end multi-die GPUs, akin to Ryzen Threadripper. We would have something like Navi 10 and Navi 20, with Navi 20 featuring two Navi 10 dies in the same package. This Navi 20 is what would theoretically go up against NVIDIA’s high-end parts, a la GTX 1180/Ti. AMD EPYC 3000 with 2 Zeppelin/Ryzen dies. What Navi 20 would theoretically look like. This die-stacking program we’re told is what the company meant by “scalability” in its Navi Roadmap. 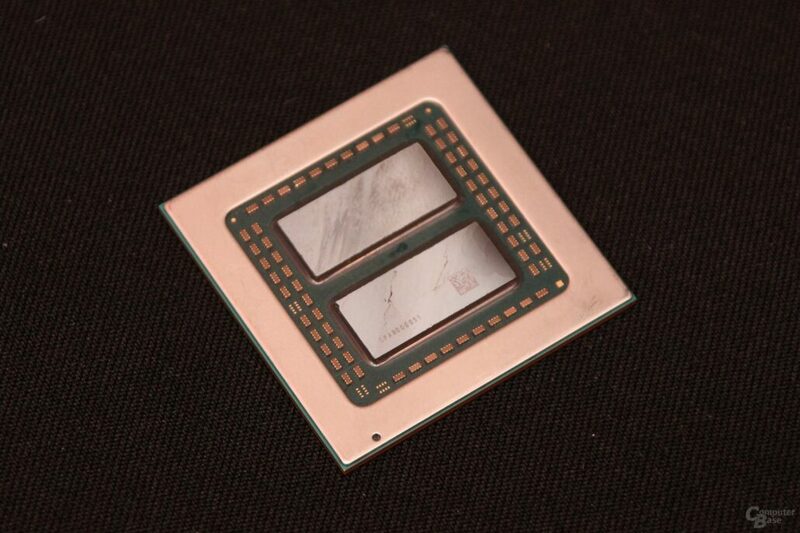 More recently we’ve been hearing that the future of this Navi die stacking project may be uncertain in 2019, as more die stacking engineering effort is poured into AMD’s entirely new 2020 post-GCN “Nextgen” architecture. A design that we’re told is as revolutionary as the company’s Zen CPU architecture. 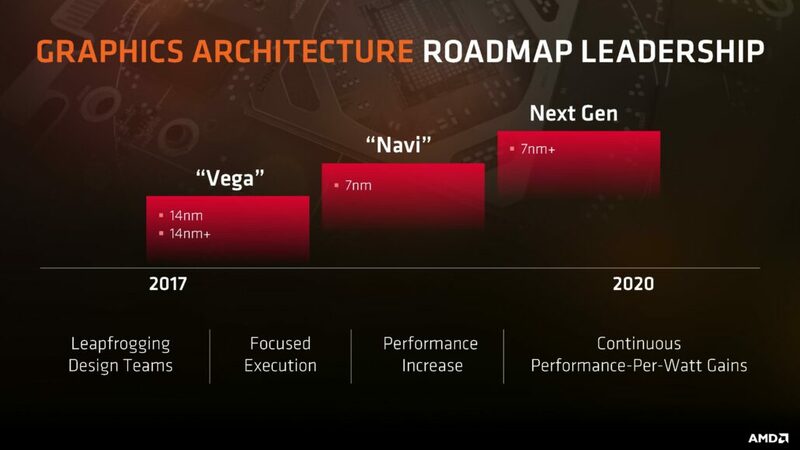 If the Navi die stacking project has indeed been postponed then we will see AMD debut both its revolutionary new architecture, the Zen of GPUs if you will, and multi-die GPU stacking technology in 2020, after Navi. This would allow the company to address all segments of the market, from the entry level all the way to the ultra enthusiast segment just by employing a single GPU die that can be stacked to meet the needs of every market segment. We’ve also recently heard about another GPU project AMD has started, one that will have a clear and more immediate impact. But that deserves an article of its own, so stay tuned for more folks!